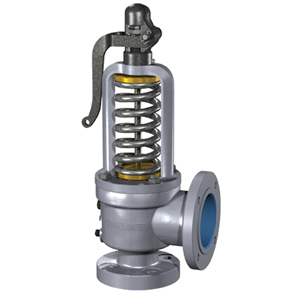 The Consolidated Type 1811 safety valve from GE is a cost-effective, high-capacity, flanged steel safety valve designed for steam service. A variety of pressure/temperature classes, orifice sizes and inlet/outlet combinations provide a flexible selection of safety valves to meet industrial needs at the lowest cost. steam past the threaded area of the seat bushing. assures long valve seat life and reduced maintenance costs .